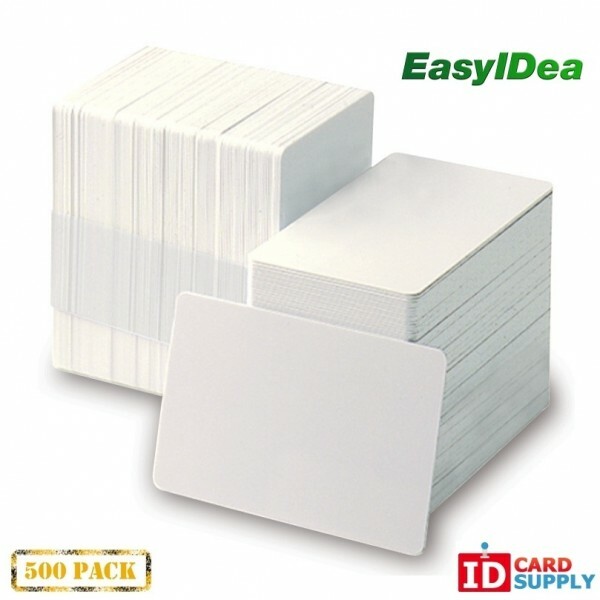 500 Standard White PVC Cards | 30 Mil | Order Today from IDCardSupply! IDCardSupply brings you these white graphic quality PVC cards that are the same size as a credit card. These PVC cards are ideal for printing cards on most direct to card printers. This is a pack of 500 blank cards, perfect for anyone who wants to print their ID cards from home!